I was exchanging e-mail with a friend who said the NYTimes contacted him months ago for the interview of the now infamous Power, Pollution, and the Internet article. 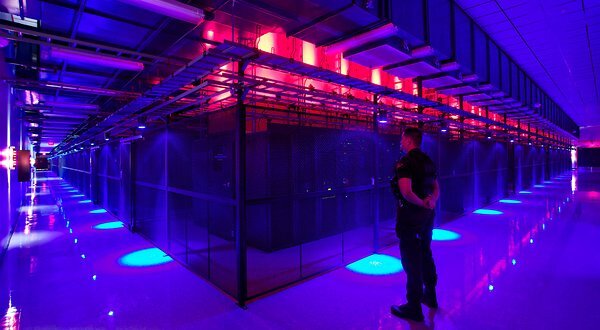 Data centers are filled with servers, which are like bulked-up desktop computers, minus screens and keyboards, that contain chips to process data. As you can see there are 280 comments. Many critcizing the article, many praising it. What do I think? Was I mad at the inaccuracies? Did I get frustrated at how facts were use? No. I just wrote my own post with my own observation that the people who talked to him were probably worried what the author would write next? Ken Brill is in a 8 minute video. One lesson I would say that is a good one to learn is media's #1 goal many times is traffic. So, even though you explain the facts, the reporter is looking for things that get people's interest and gets them to read more. All of you getting mad, forwarding the post are driving up the traffic of the article. When a person is measured on traffic, there is no way to tell if the traffic is being read by a fan or a critic, whether or not you are consider accurate by the experts and insiders is not a priority. Keep in mind this publication was not in DatacenterDynamics or Mission Critical Magazine. Luckily my friend who was contacted by the NYTimes could tell the reporter was negative on data centers, and he passed on the interview. The author has a PhD astrophysical sciences which in theory means he should be able to understand data centers. But he has worked for the NYTimes since 1999, so he is well indoctorined to how things work at a news publication. The way he writes you wouldn't think he was a PhD physicist. James Glanz is a physicist who received his Ph.D. in astrophysical sciences from Princeton University. He started his career in journalism with Research and Development Magazine, before moving to Science magazine, the premier science research publication in the United States. Since 1991 he has reported on astronomy, cosmology and physics as well as military and technological topics like missile defense and nuclear weapons. He joined The New York Times in 1999. Stories he wrote with Eric Lipton and others on the World Trade Center were chosen as a finalist for a Pulitzer in explanatory journalism in 2002. Stories Lipton and Glanz wrote were also a part of the Nation Challenged package that won a Pulitzer for Public Service in 2002. The benefit the NYTimes has is when they call for an interview, few refuse. But, now a call from the NYTimes's James Glanz is going to be as feared as a call from an environmental group who thinks data centers are dirty coal spewing cloud factories.